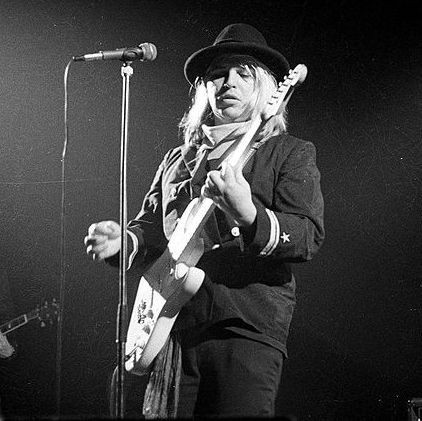 Jeffrey Lee Pierce was a musical maverick, until his untimely and premature death in 1996. He was the front man in the Gun Club, whose swampy blues roar never received the recognition they probably deserved (largely due to Pierce’s well documented struggles with alcohol and drugs). The Gun club members went on to arguably greater things – I saw the Fur Bible (Patricia Morrison and Kid Congo Powers) in the hangar-esque Gloucester Leisure Centre in 1985 supporting Siouxsie and the Banshees on the Tinderbox Tour. Kid Congo Powers went on to play with Nick Cave and the Bad Seeds, and Patricia Morrison went on to play with the Sisters of Mercy (Mk II). The sound quality was terrible, but was good enough to make out the songs, which were excellent. The three country songs were ‘Ramblin’ Mind’, ‘Constant Waiting’ and ‘Free To Walk’. In addition to the terrible audio quality, there was also no level of performance on these recordings, as Jeffrey was merely showing Cypress the material. Releasing these songs from the cassette was therefore out of the question. But if Cypress could get them properly recorded, that would be different. Also, because there were no definitive versions of these songs, and there was no idea how Jeffrey himself would have envisaged the completed work, then why stop at one version? It would be fascinating to hear how different artists might interpret these songs from this most basic and crude of templates – the cassette! That was a difficult time for him. I think he was going through a lot of problems but he played his cards pretty close to his chest, you know. He was very troubled at that time. We would drink and take drugs and sit and talk. He had a thing about the Vietnam War, for some reason. He was very well read on the subject. And dinosaurs. He talked a lot about dinosaurs. Dinosaurs and the Vietnam war, I think, were his two major topics of conversation … and Japanese horror movies. 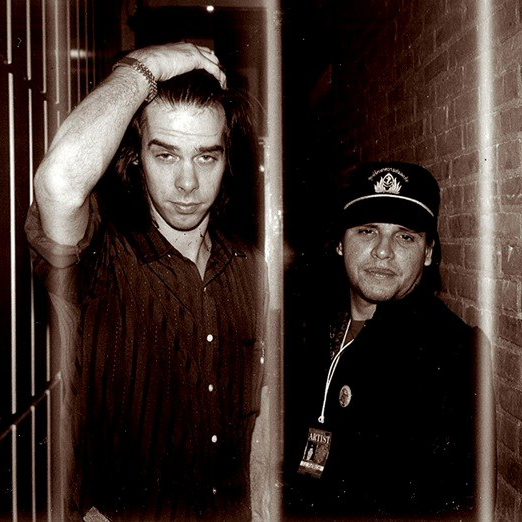 via Nick Cave On Jeffrey Lee Pierce: ‘His Obsessions Crawled All Over Him’ : Mess+Noise.